I have to say I’m fed up with cleaning up the kitchen floor after baby girl has thrown her food everywhere. 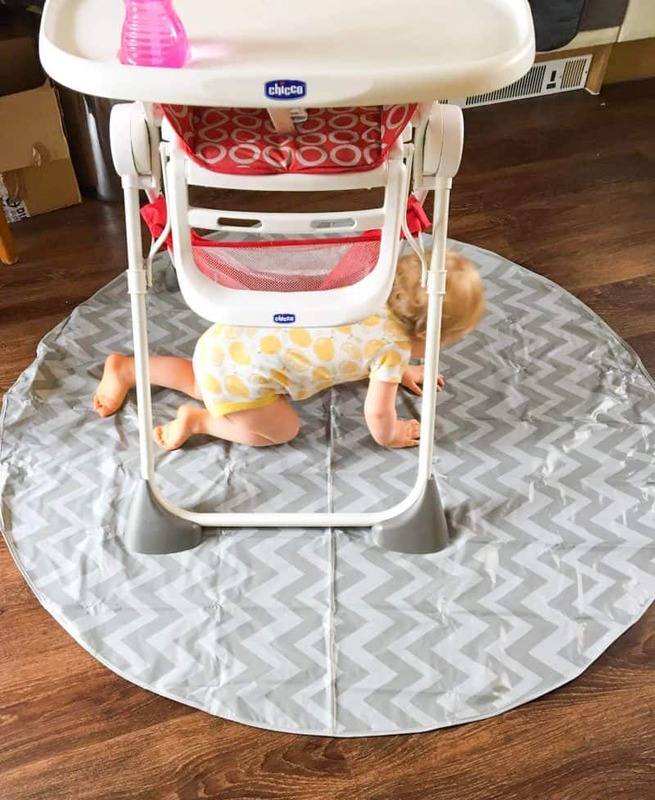 I never thought that you could buy something like the splatmat to put underneath the high chair. BooginHead have come up with this fantastic yet simple mat that measures a massive 52″ round. 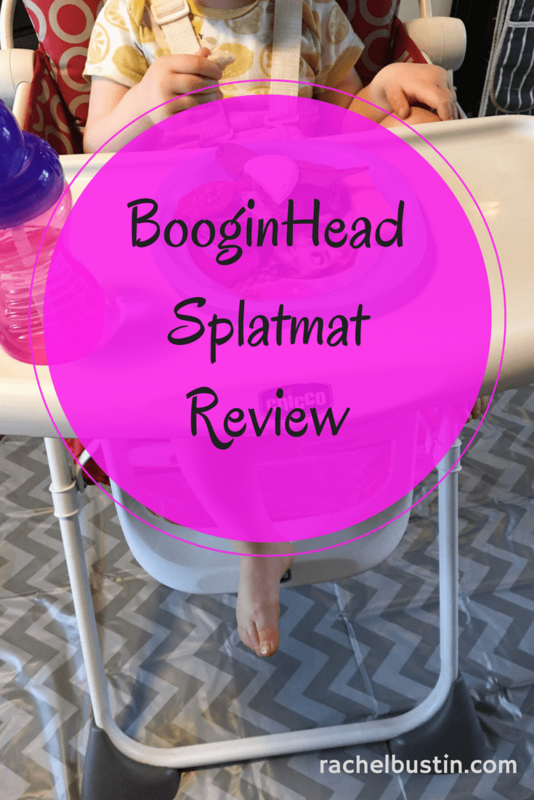 The splat mat has been a lifesaver for my kitchen floor in the new house I can tell you! The BooginHead splatmat comes folded up in this box which was easy to get out. I have to say as packed into the box the mat comes out with a lot of creases, that are not easy to smooth out. I’m guessing over time they will fade away the more it’s used. 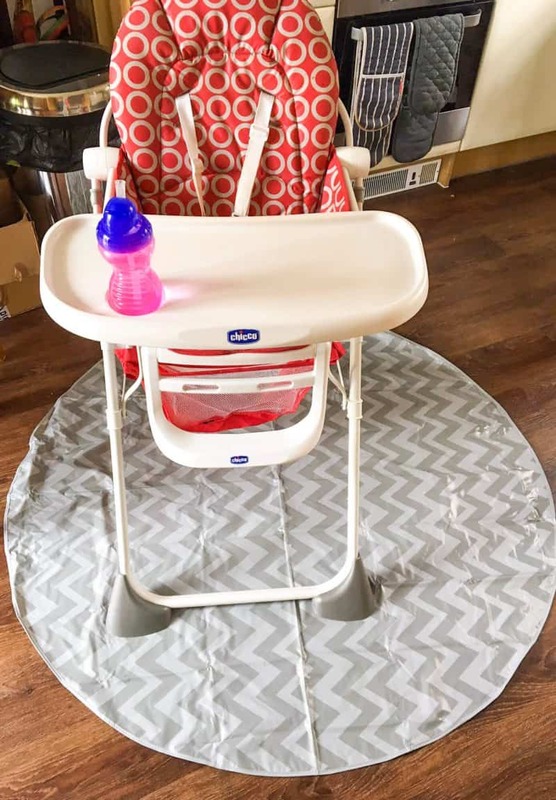 My Chicco high chair is a rather large high chair and the splatmat will fit comfortably underneath. Baby girl was rather inquisitive when I put the splatmat down on the floor, she loves to investigate everything! Living in Cornwall, we have plenty of opportunities to head to the beach, although the weather has been rubbish at the moment. So the splatmat would be an ideal accompaniment for a day at the beach. 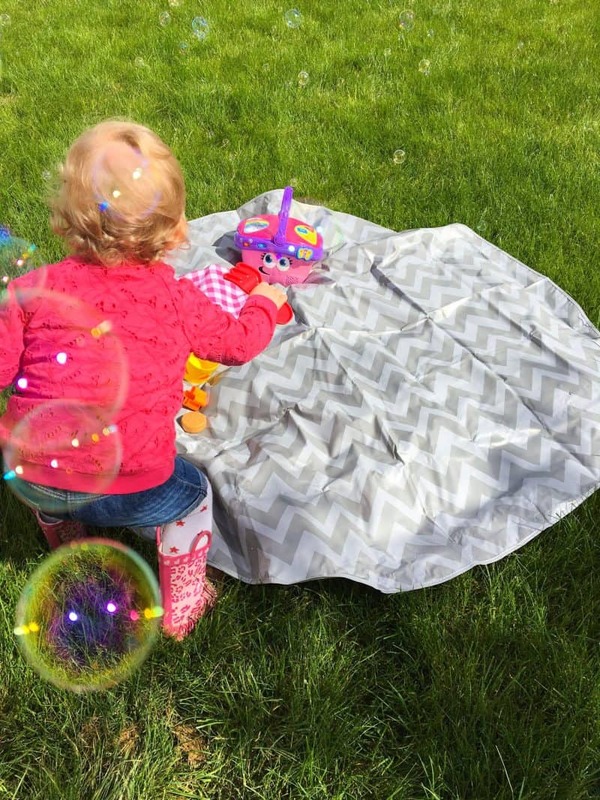 It can be used for picnics, days at the park and of course very useful as a play mat when travelling. 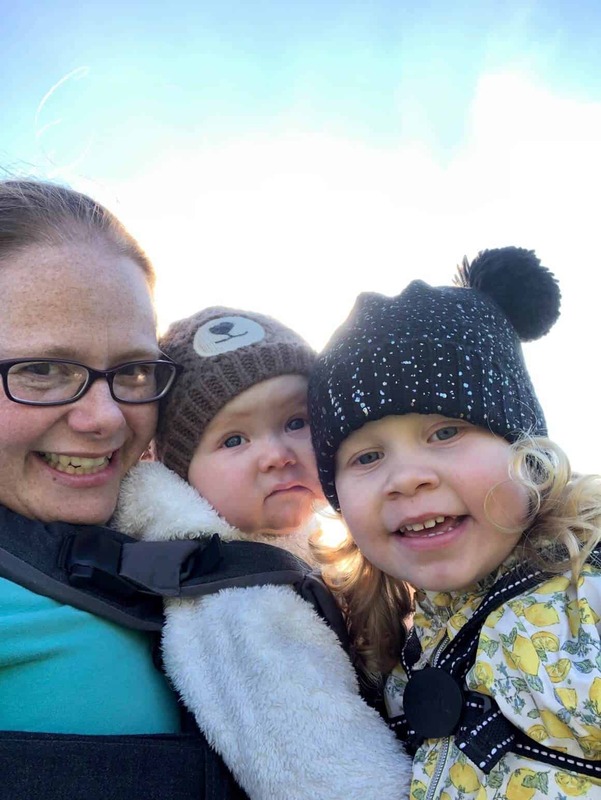 We are heading up to Derbyshire in October and I will be taking the splatmat with me to use as baby girl’s playing mat while in the hotel room. To be honest it would also be good to use as a changing mat while out and about. 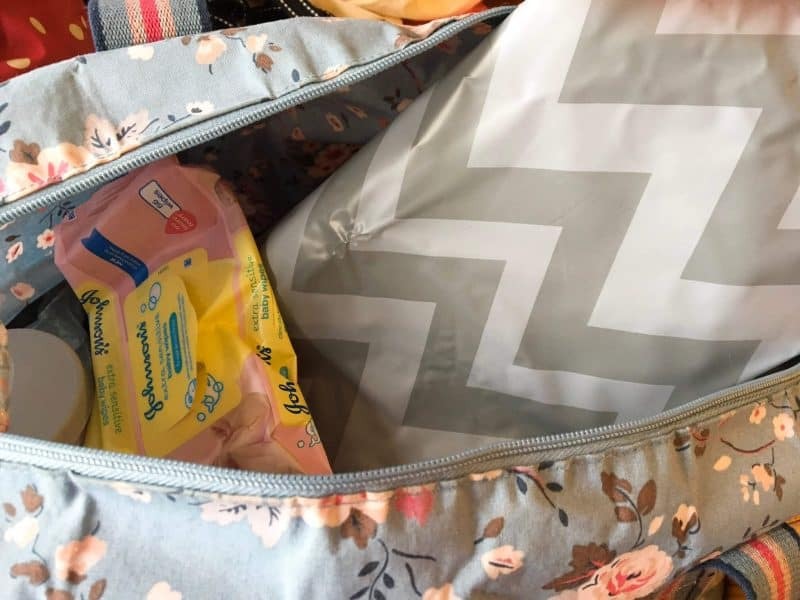 It’s easy to fold up and pop into the changing bag. We love to pop it down on the grass outside to play on. It’s particularly good if the grass is still damp from the rain from the day before! 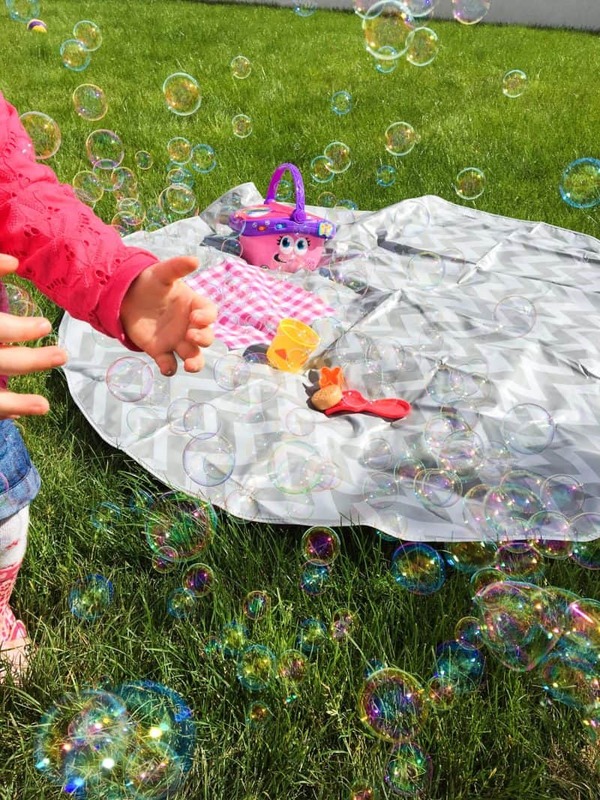 An outside toy picnic is great fun. We also made a little video outside in the garden with the splatmat. The splatmat is easy to clean with soapy water, and you can dry it on the washing line. Please don’t tumble dry! I’d imagine it would melt being plastic. It got quite warm while we out in the sun so the heat of the tumble wouldn’t be good. 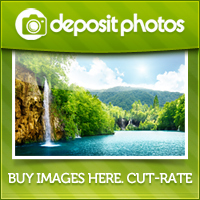 The splatmat is made from materials that are BPA and phthalate free. My favourite feature of the splatmat is that it’s reusable and durable, I can think of many uses for it for years to come. Just wait until baby girl starts crafting and doing her artwork! 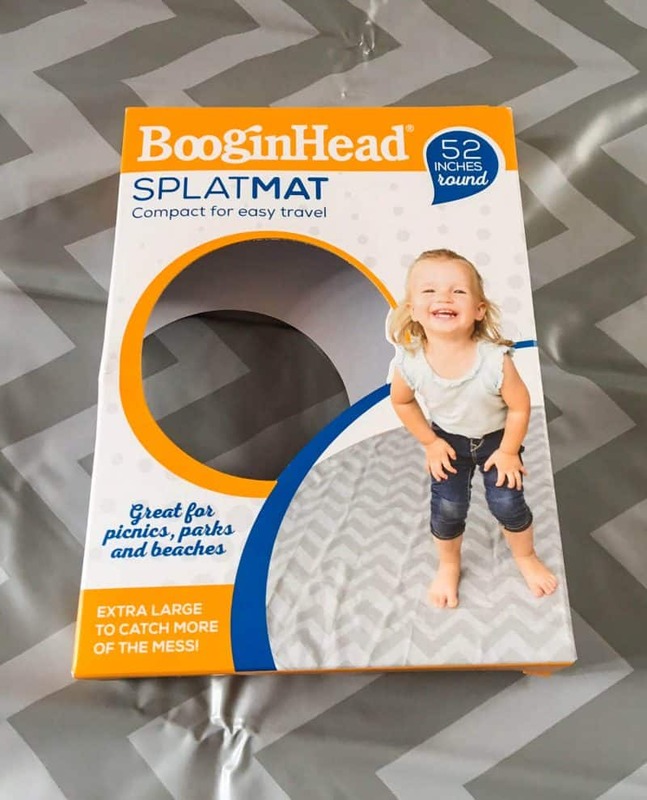 *Thanks to Baby & More for sending us the BooginHead splatmat to review, all thoughts and opinions are my own as always.